I got work accepted into the CONTACT show and the Honolulu Museum of Art School, up until April 21st. Go check ‘um out! 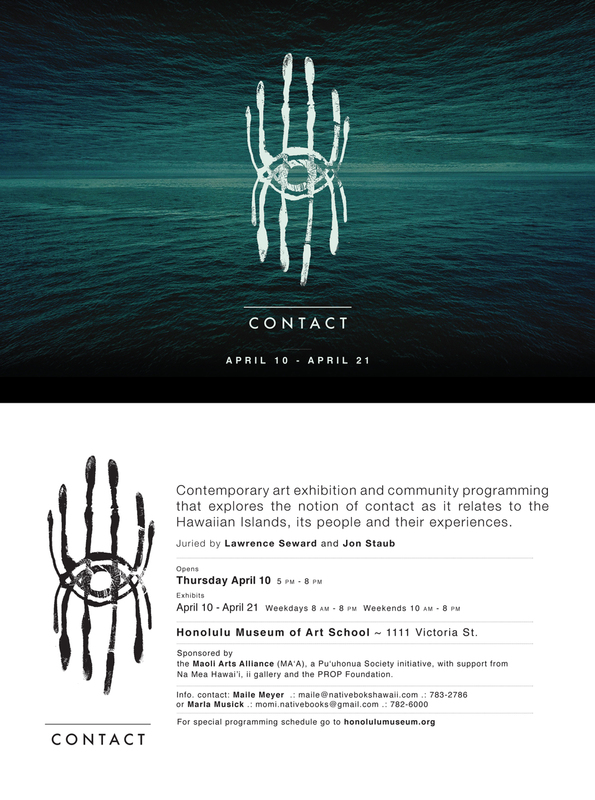 “A contemporary art exhibition and community programming that explores the notion of contact as it relates to the Hawaiian Islands, its people, and their experiences. Contemporary artists of all ethnicities and ages delve into a variety of contact-inspired messaging. Accompanying the exhibition is a program of talks and film that encourages audiences to “make contact” with other opinions and perspectives.